If you are around serious cyclists, inevitably at some point you will hear them talk about their “power” or “watts”. What are they talking about and is this something you can use in your training and racing? Power meters are technological tools that have become common place amongst serious cyclists and triathletes over the last couple of decades. As the technology has improved and become more affordable, power meters lately have become within reach of more amateur and recreational athletes. Even some stationary/spin bikes at gyms have power output displayed. 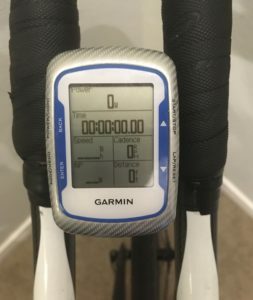 A power meter is a tool that can measure the power you are generating as you cycle and display it as a number on your bike computer. To put it in simple terms, it’s basically measuring how hard you are pushing the pedals versus how fast you’re pedaling. The meter calculates this into the number of watts you are generating. If you keep your pedaling cadence steady but push a harder gear, your watts will go up. If you push the same gear but pedal faster, your watts will also increase. You may find to hold the same power, it may be easier to spin your legs faster in an easier gear. You will quickly find though, by looking at your power, you have a limit where spinning faster just makes you more tired and you find it more comfortable to push a harder gear at a slower cadence. Because power meters basically display how hard you’re cycling, to use one effectively in your training, most people will perform a test to determine their Function Threshold Power (FTP) in watts. This is, to over simplify it here, the watts you can hold in an all out hour of cycling. There are certain tests to estimate this number. A common one is to bike as hard as you can for 20 minutes, then take 95% of this value to estimate your FTP. When you have that number, you or your coach can use formulas or percentages of that number to tell you what power or how hard you should go in different workouts. This makes the workout very specific to your fitness and ability level. It makes measuring workouts very simple and straightforward. There are now many manufacturers and styles of power meters on the market. Each has its own advantages and disadvantages. This could be a blog topic in and of itself, so I’ll just touch on a few here at a high level. If you plan on purchasing a power meter, I’d recommend spending some time researching more into this area. Crank based power meters: probably the most popular style of power meter is the crank based power meter. With these, the instrumentation measuring torque is in the bike’s crank. The advantage of this style is that it’s a direct measurement of the strain on the crank arms, so they tend to be accurate. You can also swap training and racing wheels and still be able to use the same power meter. Their disadvantage is that they tend to be the most expensive. 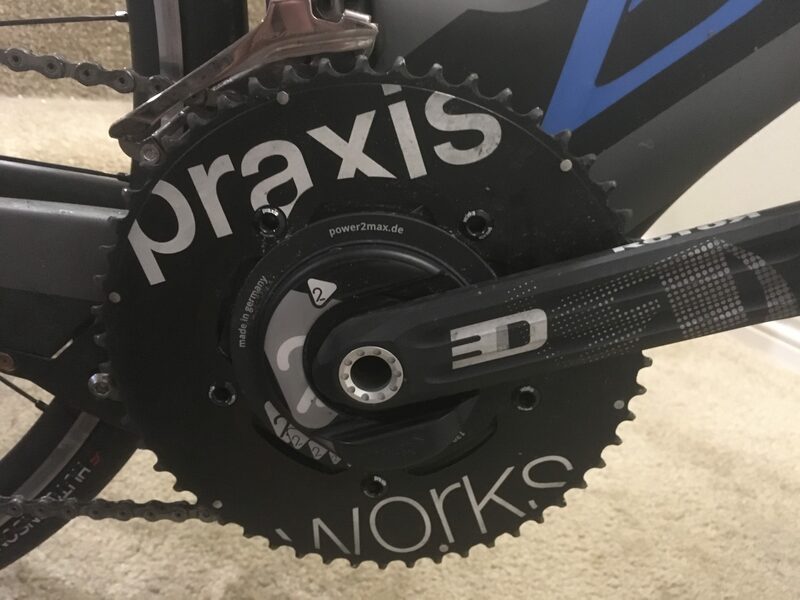 Also if you have multiple bikes you like to use, swapping out cranks is not too difficult, but it can be a bit more of a pain than the other two types of power meters. Hub based power meters: These power meters house the instrumentation in the rear wheel hub. As you pedal, the force you push on the crank is transmitted through the chain to your rear cassette. This is then read in the read hub. The advantage of these meters is that they are less expensive than the crank based meters. They are also very easy to swap between bikes. You just have to swap rear wheels, then go ride. 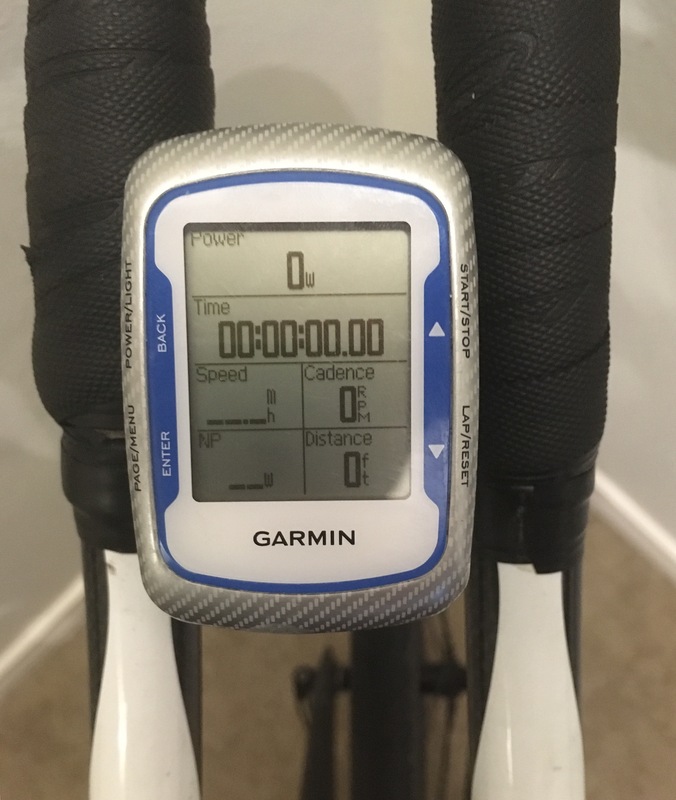 The biggest disadvantage is that if you want to train and race on it, you need to buy two power meters, one in your training wheel and one in your race wheel. This can make it more expensive than the other types. It also significantly increases the weight of your light expensive race wheel. Pedal based power meters: the newest addition to the market over the last several years have been power meter sensors in your pedals. You can measure power directly from your foot into the pedal. Their advantage is they are portable and can easily be swapped between bikes. Their disadvantage is that the instrumentation makes the pedals bulky and I’ve also heard they are not as accurate as crank or hub based power meters. I’m not sure how true this last statement is, as I’ve never tested any myself. Now that you understand power meters, I want to explain why cycling with power can be helpful. Because it is basically measuring how much force you are pushing on the pedals, it is an objective and measurable quantity. It doesn’t matter if you feel good or bad, or if you’re dehydrated, the power number is the number. 200 watts is always 200 watts. What it takes for you to produce that power never changes, only you change. With it, you can easily observe improvements, fatigue, good and bad performances alike. If a certain power was challenging for you to ride earlier in the year and now it’s no problem, you know you’ve improved. If you’re struggling to hold a certain power one day that was easy a few days earlier, you know you are tired. It takes factors like wind and hills and shows you if you are riding steady, too hard in certain sections, or too easy in others. Heart rate used to be the standard measure for cycling effort, and it still has its uses. But your heart rate can change along with how you feel. If you get dehydrated, your heart rate increases at the same work load, so you’re actually pedaling easier or producing less power at the same heart rate. During hard training sessions or racing, you can also experience cardiac drift where your heart rate climbs at the same effort over time. Where power never changes. You will see your power decrease in these scenarios if you are holding your heart rate steady. Also your heart rate changes lag your effort changes. Meaning that if you start pushing harder, it can take a couple minutes for your heart rate to elevate to the level reflecting your effort. So if you have short VO2 Max type intervals on the bike, say 30 second to 2 minute maximum efforts, your heart rate won’t elevate until the end of the effort so you won’t know how hard to go. Whereas power will instantaneously show how hard you’re pushing. An additional benefit of training and racing with power is that you can download your power file after a workout or race to see exactly what you did. You or coach can learn a lot about your performance by examining and analyzing your power file. Maybe you went out too hard and blew up. Maybe you surged too much and didn’t ride nice and steady? These are easy to spot on a power file. Using power isn’t perfect. It’s a great tool, but it does have its limitations and drawbacks. First is to understand that your power is unique to you. It’s easy to talk training and racing power numbers with friends and training partners. This can be tricky because power numbers can vary greatly. First, every power meter reads a little different. I know someone who got a new power meter, same brand, same model, and it read almost 25 watts different. That’s quite a big difference. What’s most important is that you’re looking for relative changes of your power over time. You want to hold 20 watts higher later on. Maybe your friends power meter reads lower or higher than yours. Also, weight is a huge factor in reading power. Someone who weighs more, requires more power to propel them forward and will have higher power numbers. For that reason, it’s important to look at power to weight ratio rather than just raw power. If you have two professional triathletes racing an Ironman and one holds 260 watts and the other holds 270 watts, who biked better? It depends on weight and ultimately who biked faster. Let’s say the 260 watt athlete weighs 141 lbs, or 64 kgs. Let’s say the other athlete weighs 154lbs, or 70kg, to ride the same power to weight ration as the 64kg athlete, he would have to hold 4.1 watts/kg so that’s 287 watts! That’s 27 watts more for weighing 13 lbs more! So if you compare power with someone else it may seem like apples to apples, but it may actually be apples and oranges. Other factors greatly affect your performance in ways that your power meter can’t measure. Aerodynamics is probably the most important. If you have two rider who are theoretically the same (shape, height, weight) and they have the exact same power meter and hold the same watts on a ride, one rider will inevitably be faster because he has better aerodynamics. Aerodynamics are affected by your bike position, how much time you spend in the aerobars, your equipment and clothing choices, even how low and tucked you can keep your head while biking. So it is important to note that holding higher power alone will not make you faster, that aerodynamics plays an important part of the equation. Even if you are very aerodynamic and can hold great power, it doesn’t guarantee you will bike fast times. If your nutrition isn’t dialed in, you probably won’t be able to maintain your race watts. Fueling with XRCEL’s extended release mico-gels ensures you will have the energy you need in your muscles when you need it. If you fuel improperly, it doesn’t matter how well trained you are, a bonk will stop you in your tracks and ruin a race or workout. Another pitfall with using power meters is that it can make cycling almost too technical and numbers-based all of the time. Every ride can become all about the numbers. This is why the type-A personalities who love endurance sports embrace power meters. Every ride can be analyzed quantitatively. Obsessing about the numbers all of the time isn’t a good thing. Sometimes it’s good to turn off the numbers and just go out and enjoy riding your bike. I learned this about myself. Sometimes I need to turn off the numbers and enjoy riding my bike for riding’s sake. When the power meter is on and you see numbers, it’s too easy to judge every ride as a good ride or bad ride. You have to learn to turn that off and sometimes just go ride your bike and love life. Then there are other times where the power meter needs to be on to have an objective and accountable Measure of hard work. Like any other piece of technology, power meters are extremely useful tools and can greatly help you improve your cycling. At the same time, you need to learn their limitations so you don’t become a single dimensional athlete and neglect other important facets of your training and racing.